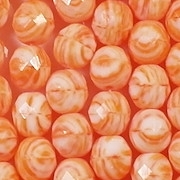 Colors/description: White with bright orange 'tiger stripes'. 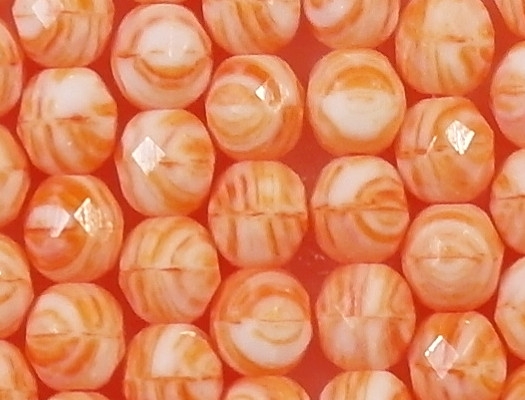 Defects: The beads appear to be in good shape, although fire-polished beads always have some imperfect facets. In this case, the facets seem to be well-formed. 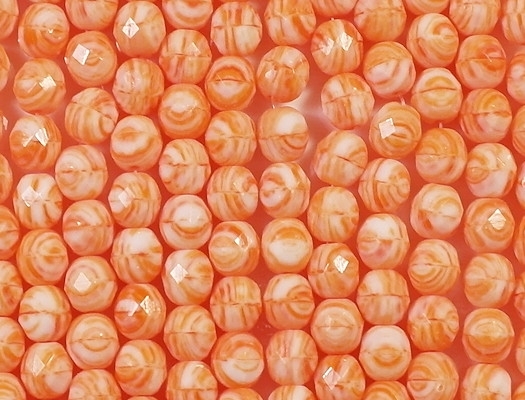 Comments: The orange in the actual beads is lighter than the picture shows. (Orange and red are very hard to photograph -- part of the problem may be that my monitor doesn't reproduce those colors well.) 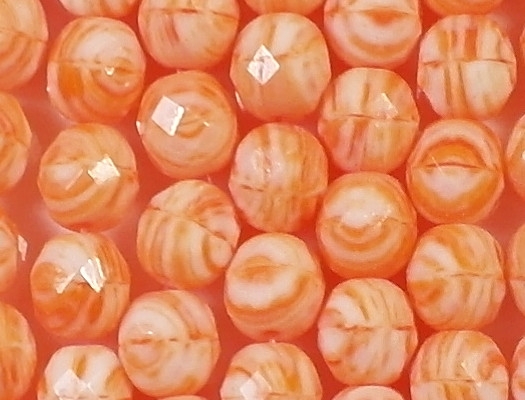 I am a sucker for stripes, so I grabbed these beads when I saw them. I got a good price on them too. 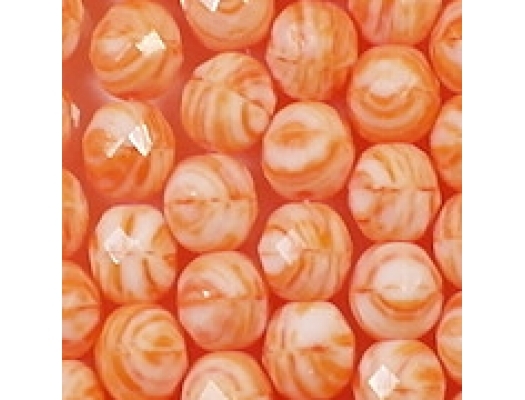 Please note that the beads are being sold in lots of 40 because they come strung that way.